Tractor-trailer parking available on city street around corner and in mall one block away. Same day appointments usually available, but please call to reserve your time. By appointment, just give us a call. Relaxing friendly environment. Dr. Mora is a former truck driver and is well aware of the demands on a commercial driver. Doctor and staff are happy to serve you! 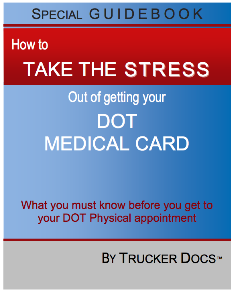 We take care of your DOT Medical Card process and get it done right the first time at Santa Fe Springs Chiropractic! Scan this QR code and bookmark this page to Santa Fe Springs Chiropractic. Very happy with the service, will be coming back. Thank you Dr Mora! I needed to get my exam done and was able to get an appointment right away. Dr. Mora was professional and polite. The exam was thurough and fast. The office was clean and his receptionist was also polite. I had tried to call other offices but they did the DMV exams only two days a week and one office wasn’t answering the phone. Thanks Dr. Mora. Santa fe chiropractic is the place to go if you need a dl51. Dr Mora and his staff make you feel comfortable as soon as you walk in, the examination is done right and he explains everything. If you want it done right he’s the doctor. Doctor Moro is awesome. Staff was very friendly and accommodating. The best experience I’ve had with a DOT examination.